rodial – The Baking Beauty Blog. Happy Tuesday beauties!! Yeah I realise I missed yesterday but I figured if I was going to have a day off, I’d do it properly. That mainly consisted of eating mince pies and lounging around in the boyf’s hoody. But today I’m feeling rested and refreshed, ready to talk Beauty. We have 4 gorgeous products to discuss, and they’re all absolute corkers I can honestly say. 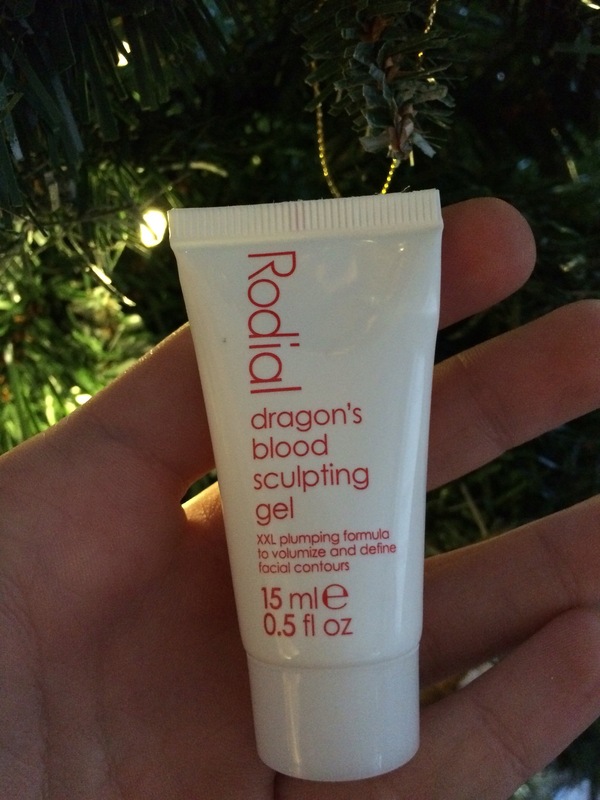 M&S gave me a Gatineau Advanced Rejuvenating Cream yesterday, and a Rodial Dragons Blood Sculpting Gel today. Both are perfect for levelling up your skincare regime. You literally can’t go wrong with these two. If you want younger looking, smoother skin… these are going to be your new best mates. So, Gatineau. This cream is formulated with their famous youth activating molecule, Mélatogénine. Combined with marine collagen, you have the ultimate product to not only provide hydration for even the driest of skin types, but to smooth and firm your skin too. 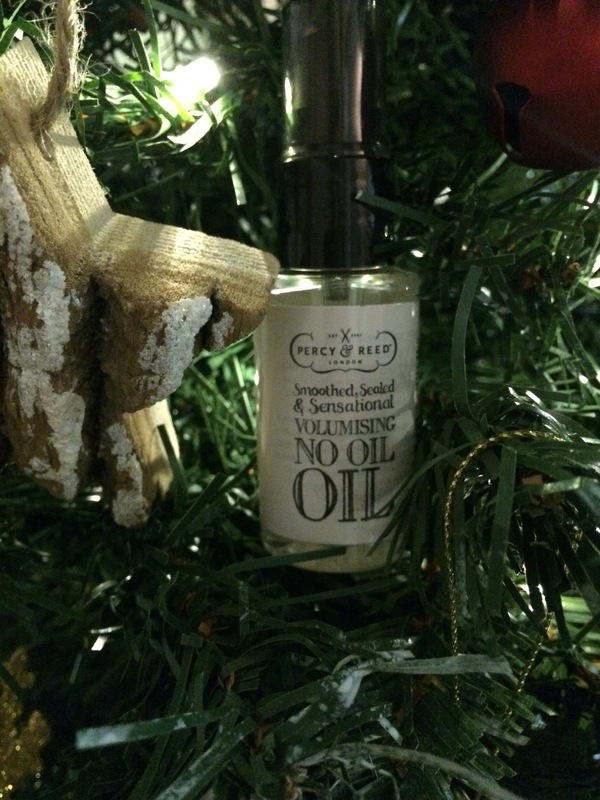 It’s available to purchase for £86 per 50ml. Ouch. The Rodial sculpting gel isn’t cheap to buy either – but again, it’s a real staple for any skincare regime that wants that plumped up, lifted look. This is a treatment gel, so I’d use this before you moisturise to get the maximum results. I’ve been using this for a while and I always warm a pea sized amount into my hands first, then press into my face rather than rubbing it in. That way it’s going to penetrate the dermal layers rather than just sit on top. And it’s only £1 cheaper than Gatineau so they are the pinnacle of luxury skincare products. However I have given these 2 to my nan to try out (I did this last week), since her skin will show the full effects of them compared to mine, and she can’t get over how glowy and lifted her skin looks. Rodial has made her skin feel tighter and firmer, and the cream had just finished the job by smoothing and hydrating. Every box ticked! Now onto Charlottes gifts over the last 2 days. Yesterday was a soft eye liner in the shade ‘Amber Moon’, and today was her brilliant Full Fat Lashes Mascara. Now as gorgeous as these two are, for £150 I expected the makeup to be full size. The skincare and lotions I expect to be deluxe samples/travel minis but the makeup? A half size pencil and a deluxe sample of the mascara. Slightly disappointed in that but that doesn’t hinder the actual products. They are both absolutely gorgeous! The eye liner is super soft but stays on all day, and the mascara creates that volume to mimic a false lash effect. Perfect for any look. Although, you can creat the easiest smokey eye on Earth by drawing a rough line along your upper lash line with amber moon, and smudging in with your finger or a brush. Then just apply two coats of the mascara and you’re good to go. The thought of creating a Smokey eye look scares some people so this is a fool proof way to achieving it! I think M&S win the last 2 days because the value of the product is super duper high, not to mention the size issue with CT’s products. Bit of a no brainer. See you back her tomorrow for more advent opening darlings! The Official Countdown has started! So now is when the real excitement starts to set in, its only 9 sleeps until the big day. Although my probably unpopular opinion is that Christmas Eve is more exciting than Christmas Day itself. I mean this is when the real festivities kick off! You cannot deny there is no better feeling than finishing work on the 24th, then starting that glorious drive home with a christmas anthem or 5 serenading you as you cruise along the seafront (if you work in Southend on Sea that is) with that inevitable bottle of fizz waiting for you when you get home. In my world, there is no better feeling. But thanks to the ridiculous offers on the booze in met supermarkets this year I have LOTS to get through. A very MERRY Christmas indeed! So since I last wrote to you lovely people I have opened 3 advent windows. I KNOW. Im sorry for the delay but it is nearing the final week and making presents look pretty is really rather time consuming. So the three products I have received in the last 72 hours are all products I have neither used or in 2 cases, never even heard of until now. The purple box of fabulous things gave me, Percy and Reed Volumising No Oil Oil, Roger and Gallet Fleur de Figuier Hand Cream and Rodial dragon’s blood sculpting gel. Firstly, Percy and Reed, what is up with your naming skills?! Are you desperately trying to confuse me? No oil, oil. How bizarre. Anyway I have heard plenty of mixed reviews about Percy and Reed products so I have always been skeptical to try them out. However I am a sucker for a volumising product due to the fact that I have super duper thick hair that is so heavy, it falls flat quite quickly. I used this oil (well, not oil) on my damp hair and after blow drying with a barrel brush, I had a significant amount of volume at my roots. And I noticed throughout the day, the style did in fact stay in tact. So I did a bit of research into the formulation of this product and it turns out the Violet extract enriches and moisturises your dull and lifeless barnet to give you smooth, silky and voluptuous results. Which if you have thick hair, getting a silky result is usually tough so this will do the job. Not to mention act as a heat protectant to prevent you putting umpteen products through your locks. 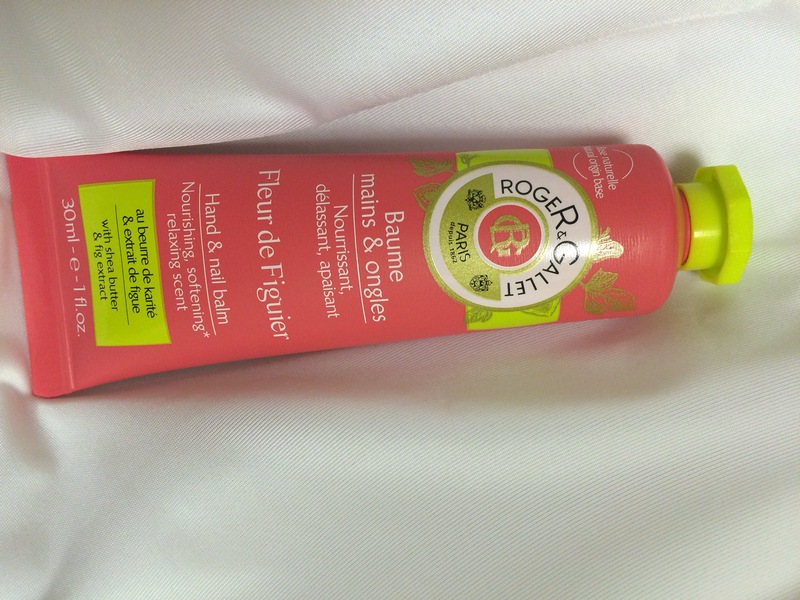 Okie dokie onto the Roger and Gallet Hand Cream. I must admit I really don’t like the flour de Figuier scent. I’ve tried the Perfume of the same scent before and I couldn’t wash it off quick enough. On some people it smells fantastic and it really suits them, however for me, it just didn’t. So this was another thing i’ve given to my lovely Nan to try and review for me. As a huge fan of hand creams, Nan is an expert on how they should feel and smell on your skin. she thought the scent was beautifully fresh and not too strong which some hand creams can be. She told me that she could quite happily use this lots throughout the day because it leaves her skin soft and supple without the greasy after-texture that cheaper creams usually result in. Another thing she loved is the thin tube, since she only ever uses small handbags, it fits in the side pocket perfectly without bulking the bag out. So its safe to say nan would buy this hand cream. or maybe i’ll just add it to her christmas list. What a lovely granddaughter I am. Modest too by the sounds of it. And last but by no means least, Todays wonderful tube of Magic is the Rodial Dragons Blood. Okay, I have heard of this brand but the price tags are way out of my league so i’ve never looked into it any further. My research has told me that The formula of this product is scientifically tested to plump and sculpt facial contours to fight any sagging skin you get with age. I have done plenty of research into this product and if my mum’s grimace on FaceTime was anything to go by when I told her this product is called ‘Dragon’s Blood’ then i’m positive you’ll all be wondering the same thing. So why is it called that? Well it turns out the Extract used in this product is that of the Dragon’s Blood Tree native to the island of Socotra in the indian ocean. The sap from this tree is naturally red which is why it’s known as Dragon’s blood. As i’m sure most people are aware, as you age your skin does what most other things do when you get older; it goes a bit southward. And if a facelift or cosmetic surgery is a bit too heavy duty for you then this product has had reviews from the top skincare gurus and makeup artists to confirm that it actually does work. Applied all over your face and neck, it forms a protective veil over your skin to promote firmness, and help sort out all those uneven red tones as well as helping sooth sensitive skin too. Since I don’t really need this product (yet) I will give it to mother, since nan is already using the time filler, and see what she makes of it. I shall update you all with her progress in due course.